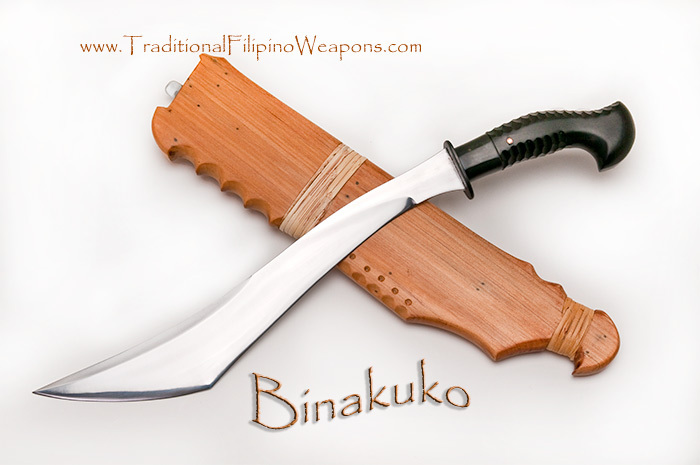 Panabas – The Panabas is a chopping weapon favored by the Moro tribes of Mindanao, which soon gained its place as a weapon of war similar to the western battle axe reputation and with just as deadly results! This interesting 19th century Moro sword is an unusual and very hard to find weapon these days. 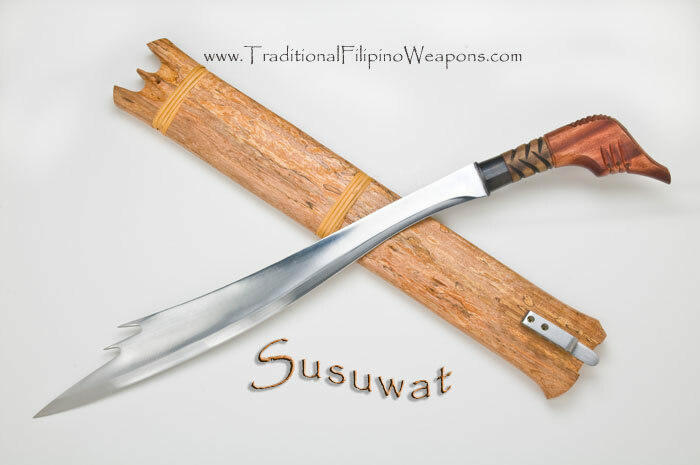 The Panabas is not only used as a weapon but is also believed to be an agricultural tool. 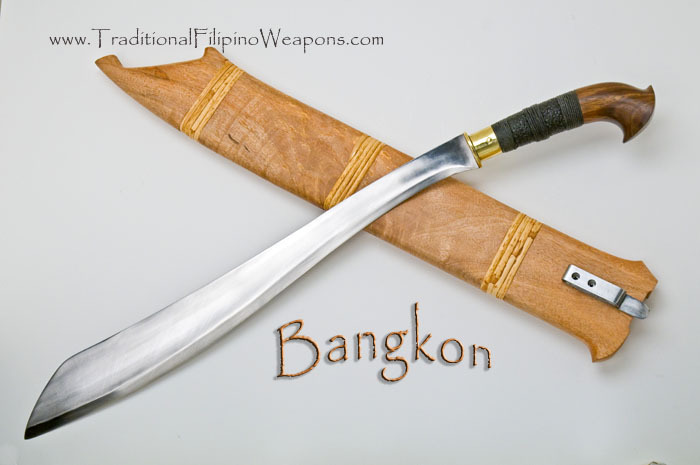 Because of its effectiveness at chopping through meat, the Panabas was favored for use in executions. As such, the Panabas also came to symbolize a Datu’s power…a demonstration of his ability to control violence to the extreme necessary. One of the domestic uses for the Panabas today is for cleaving meat and large fish. Also, it is used in some parts of Mindanao for clearing unusually dense vegetation. This shows how well engineered and durable, not to mention razor sharp, it actually is. 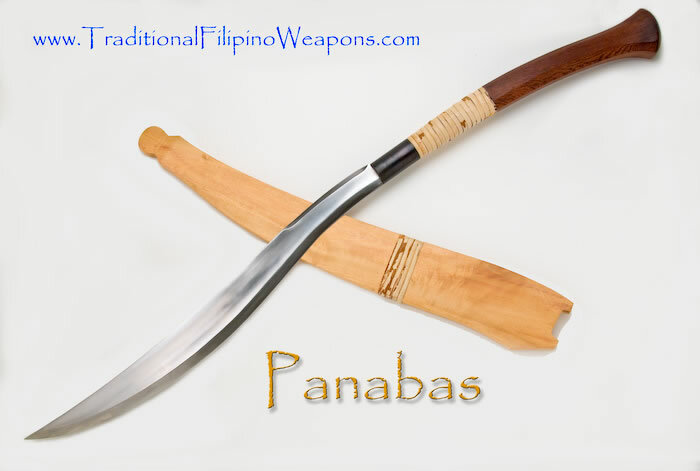 The Panabas can range in size from 2 to 4 feet; our version is 34 inches long. This single-edged sword, which takes on the appearance looking like a long handled Kukri, can deliver a dreadfully deep meat cleaver-like cut. It is said that the warriors wielding the Panabas would follow the main group of warriors up front and would immediately without discussion or attention to formalities, go in mopping up any survivors of the first wave of attack. 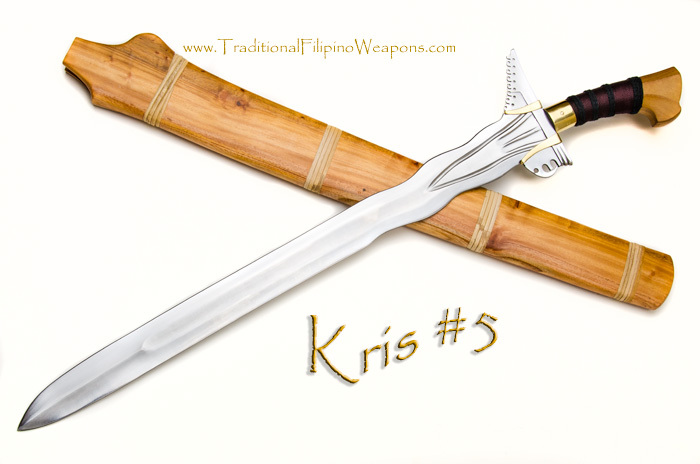 A Panabas can be used by holding it with one hand or two hands. Either way, in combat this particular sword can cut anything it comes in contact with right in half!